I ran away from office today simply because I had nothing to do. 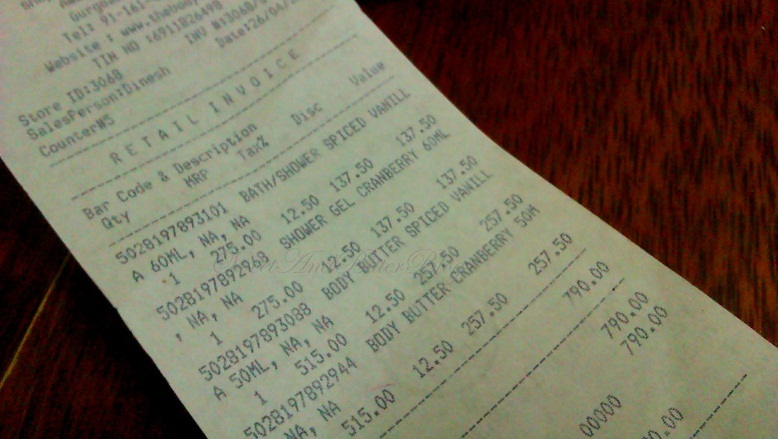 I went to Ambience, Gurgaon with a mind that I will buy cloths as whenever I go to any shopping place I only buy skincare or makeup stuff. In fact I do not remember clearly when the last time I got cloths or shoes from a mall! So, I was 100% determined (or so I thought) that I will not get inside any skincare or cosmetic store. 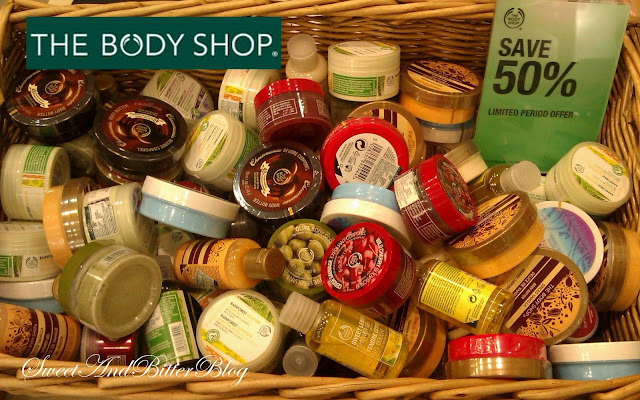 But I do not know what happened; I enter The Body Shop Store and instantly noticed the 50% OFF tag near the cash counter! Yes, everything in the smaller form. If you want to try something before you buy the big size, NOW is you chance. I didn't got the chocomaia one because the smell of the entire range seems extremely artificial to me. So, 4 products in Rs. 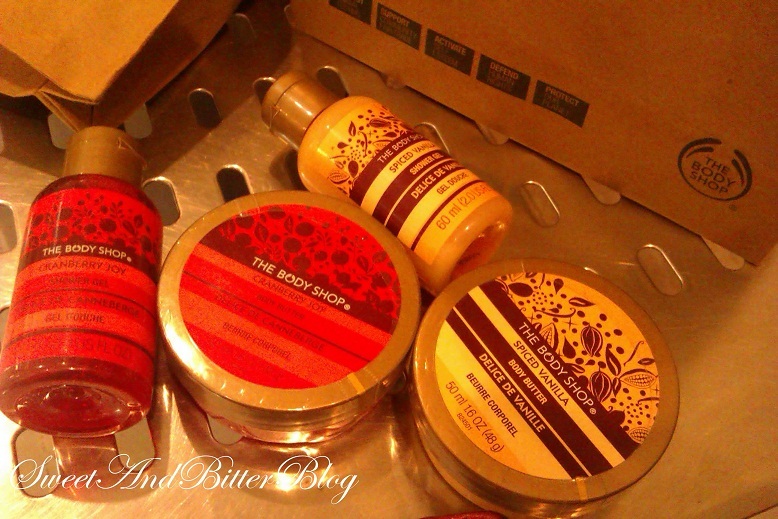 790 which is nice considering the fact that its The Body Shop! Also, this offer is not there in their India website so, please give a visit to your nearest store if possible to check all offers that they are having. This 50% thing might be specific to Ambience Gurgaon one. Other than this they also had buy 3 to get 15% and buy 4 get 20% off. And as usual I returned without buying any new cloths. I might go to Vasant Kunj tomorrow (yes....again....its Friday babydoll ) because I really saw a good collection in Forever 21 for which I didn't had time that day. PS: I also visited MAC...yes I was not 100% determined about no-makeup/skincare. As Pooja from IBC said here, the SAs are really nice. shits!!!! damn!!! i so wanna buy these goodies... but workplace load is killing me and i have never been to any Gurgaon place! Damn me!! will call and ask if dis discount is only for Gurgaon store or available everywhere. Oho, wats wrong with this time thing on your comment section??? im going to kolkata stores ASAP!!!!!! cute haul..w8ng for ur clothes haul now..
oooh nice haul!! TBS ppl should hold sales like they do in their foreign stores.